This is why we love sports. This is why we tune in. No, it isn't about the brand names, the guys with millions in the bank and pretty girls on their arms. It isn't about the familiar smiles and the terrific plays and awful commercials they make. 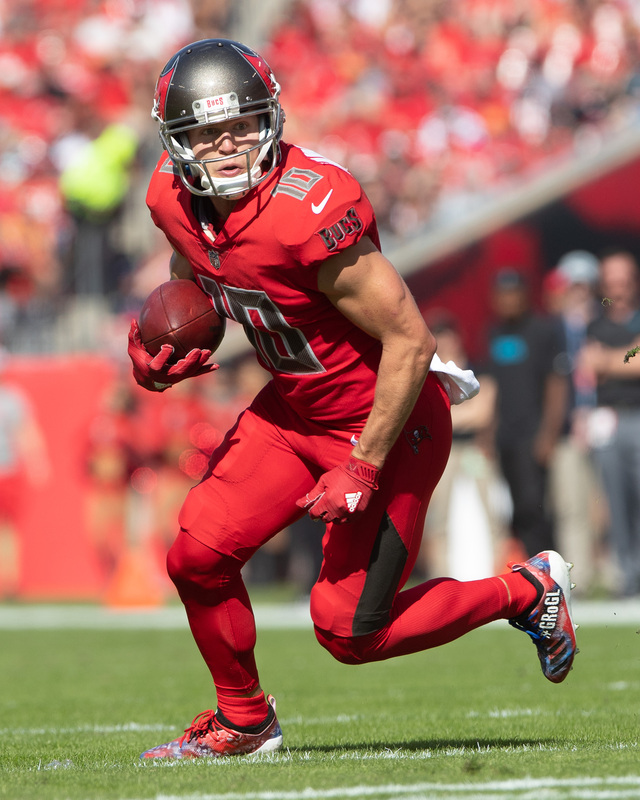 It isn't for Jameis Winston and Jason Pierre-Paul and Mike Evans, although today, a Bucs' fan will be grateful for them all. This one is for Andrew Adams, the kid from nowhere, the claimer who won the Kentucky Derby. This is for a stranger in a familiar uniform, leading the Bucs to an unexpected victory. This is for the kid you couldn't pick out in a team picture, scrambling up a mountain and admiring the view. This is for the underdogs of the NFL, the players who Adams represents, and for hanging on for another chance if it ever comes. 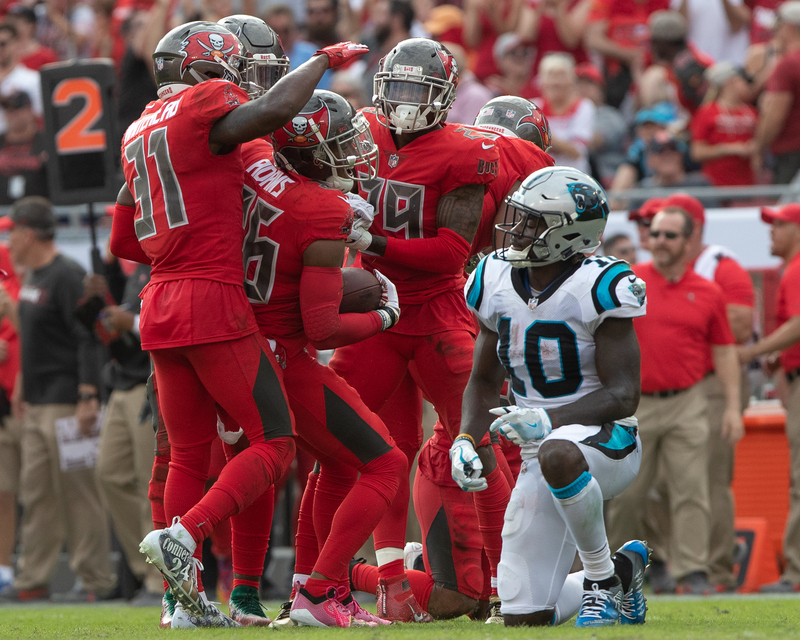 On a team that has only recently discovered the strategy of intercepting the football, Adams did it three times in Sunday's 24-17 victory over the Panthers. A hat trick. It was a visit to stardom from the last guy you would ever expect to get there. And, gee, isn't it cool? As a rule, America loves these sudden stars from the shadows. A few weeks ago, Adams was on the street, unemployed, after being cut from the New York Giants. He kept going from team to team, five in all, trying to land a job. Teams liked his tapes, but at cutdown time, there is no room on rosters. He had been an undrafted free agent out of UConn. Andrew Adams? It might as well be Ansel Adams. Or Abigail Adams. No one expected this. He is your typical afterthought player, a guy making little money, possessing nothing but confidence and the Biblical saying on the tape on his wrist and the image of a friend -- a cancer survivor -- on his pink cleats. He is a million-to-one-shot, an understudy who has taken over the play. You can understand why he wore a steady smile. Some teammates call him "Double-A." Winston called him "Triple-A" for his three interceptions. by Lavonte David. He says that one took "catlike reflexes." The second one was because of the pass rush. The third one was because he didn't fall for Cam Newton trying to look him off. Remember, this was from a player representing a team that had only one interception before last week's win over San Francisco. They've had five in the last two games, three of them from Adams. Gee. On him, even the red-Power Ranger uniform didn't look so bad. “You know what kind of football player you are," Adams was saying. "You don’t let hard circumstances define you. Whenever you get your opportunity, you have to make the most of it. When opportunity knocks, you have to answer." By now, it is easy to see Adams as a personification of the Bucs themselves. At this point of the season, no one expected much from them. 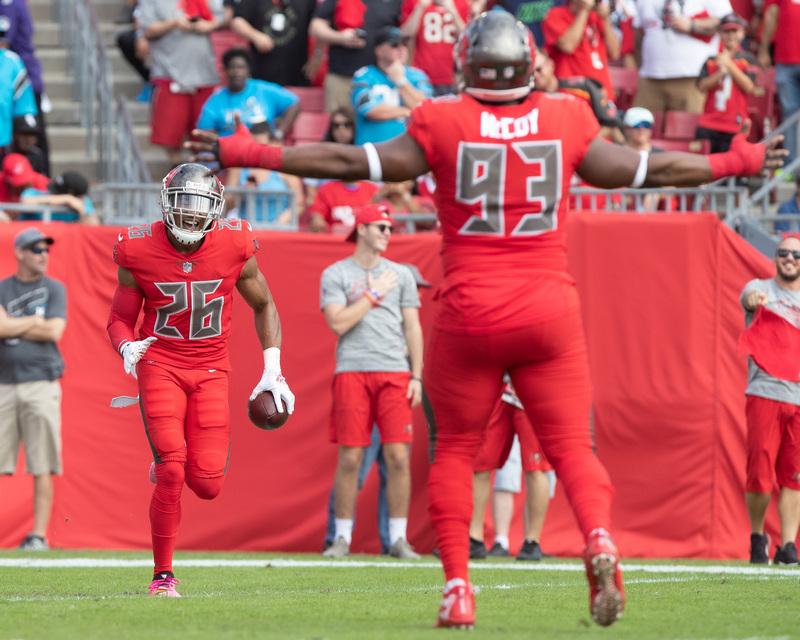 A lot of people have grown weary of Jameis Winston, and of Dirk Koetter, and especially of this secondary. But Sunday, all three of them were excellent. 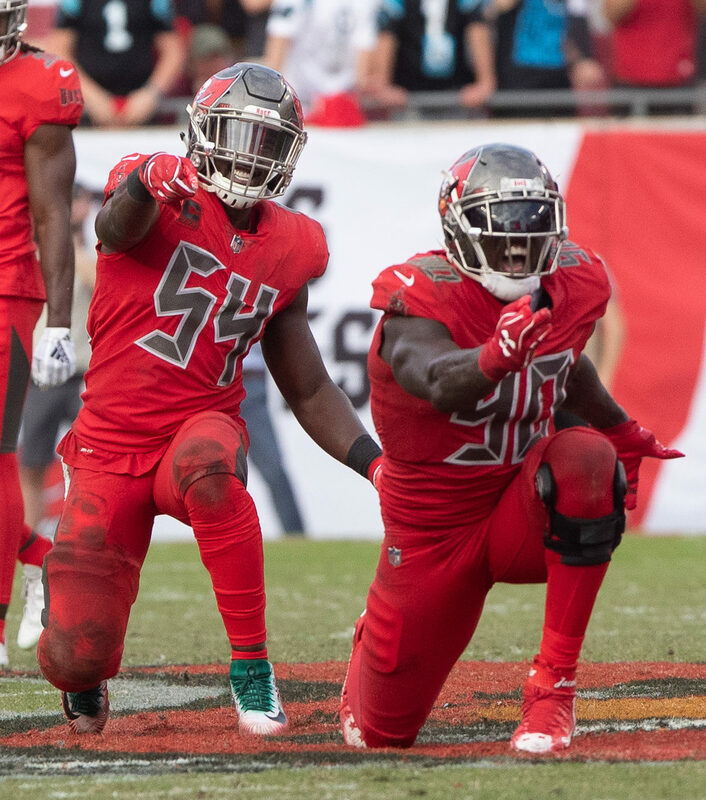 "It's a cool story," linebacker Lavonte David said. "He was cut, didn't know where he was going. Now we have him, and we have a gem." Jason Pierre-Paul played with Adams with the Giants (Adams had 17 starts in two years). "When you get a chance, when you get a shot like that ... he had a lot to prove," Pierre-Paul said. "He just came out here and did his job. He didn't try to do extra. He just did what he needed to do, and he was there at the right place at the right time. I'm so happy for him. You don't know how much." Winston, again, was close to flawless. He hit 20 of 30 passes for 249 yards, a rating of 114.4. In his last 2 1/2 games, Winston has a rating of 119.5, and he's enabled coaches to wonder where all of this ball protection was earlier. 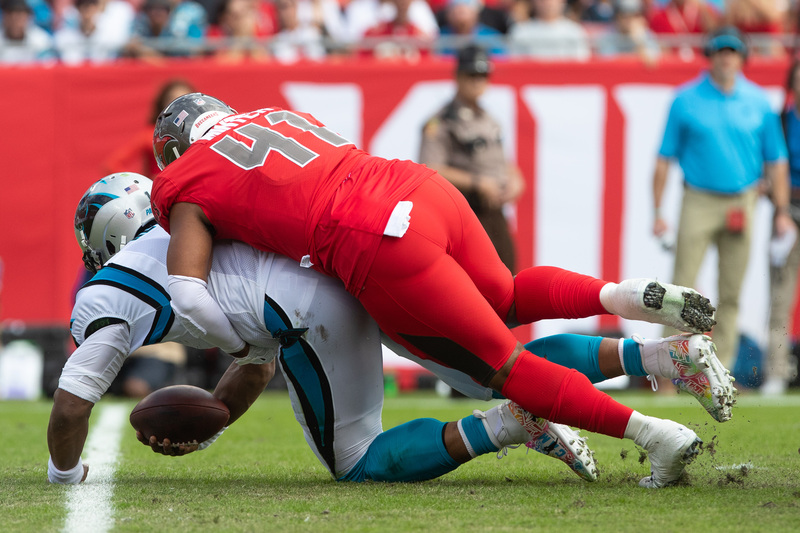 Winston is playing more carefully, taking more sacks rather than forcing the ball. Winston, who finally has the knack of avoiding interceptions, and Adams, who seems to have the knack for making them, weren't the only stars. The defensive line had four sacks, and they seemed to have Cam Newton trapped 2-3 other times. Chris Godwin, who seems to have no chemistry problems with Winston, caught five balls for 101 yards and a touchdown. Koetter said that on that play, Godwin was Winston's fourth option. 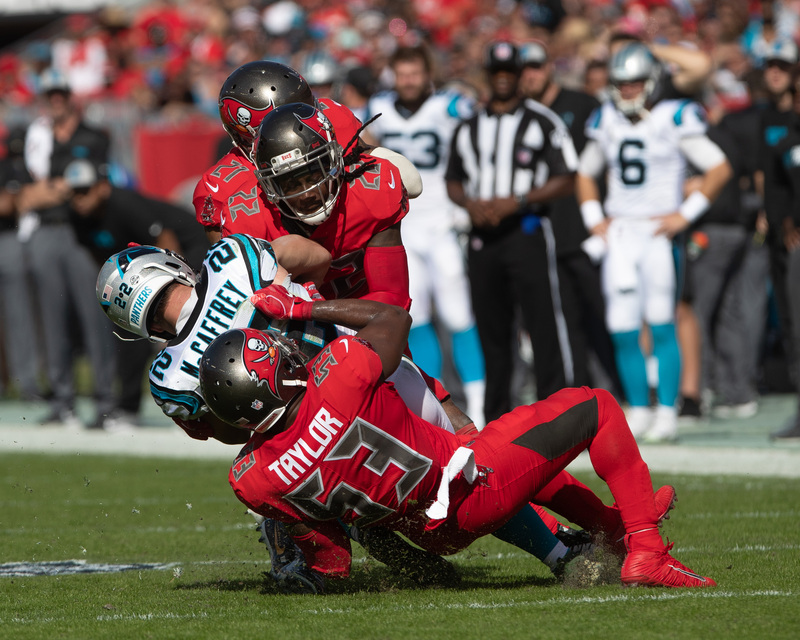 Lavonte David had 12 tackles, including a sack. It was the kind of game the Bucs have been missing most of the season. But with a two-game winning streak, more things remain possible. Where was this effort against Pittsburgh? Or Atlanta? Or Cincinnati? Or the New York Giants? "I don't think anything has necessarily changed," Godwin said. "It's just that the plays we weren't making before, we're making now. I think that's a credit to our attention to detail -- just to the work that we're putting in. Just our never-quit mentality." For a while, the defense wasn't quitting, but it was chasing. Sunday, it played one of its best games. 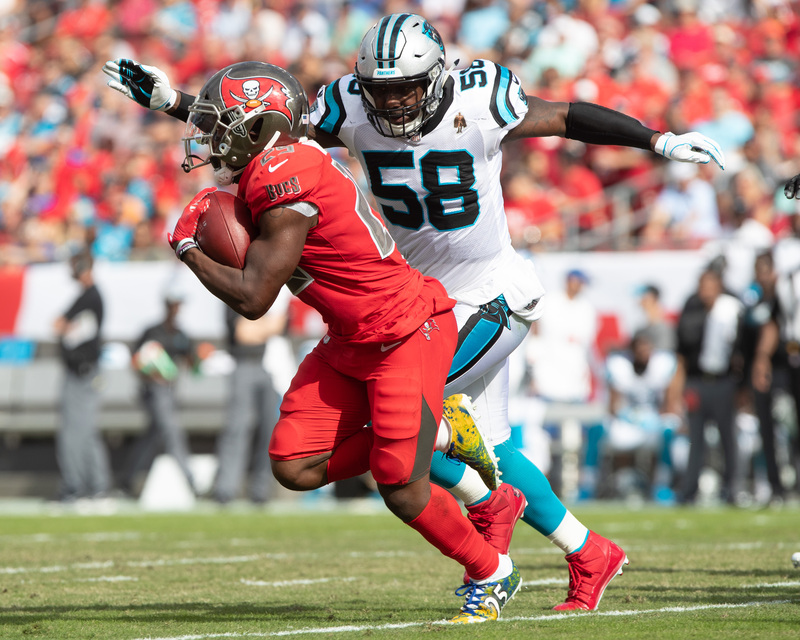 “The (defense) was fantastic today (with) four turnovers — four interceptions and four sacks," Koetter said. "The offense, we just couldn’t get that last score to put that game away in the second half, so the defense just had to keep going out there and keep getting it. Our (defensive) line played so hard. "I think when (safety) Justin Evans went out at halftime, we were basically playing with none of our starting five defensive backs to start the season. For all those guys that came in and were role players today, and stars today. Shoot, Adams with three picks today, (cornerback Javien) Elliott with a pick, (cornerback De’Vante) Harris with two nice pass break-ups. That was pretty cool for those guys." Winston had some cool, too. In his last 2 1/2 games, he has 88 yards rushing. He also is relying less on sliding, preferring to tumble head first. 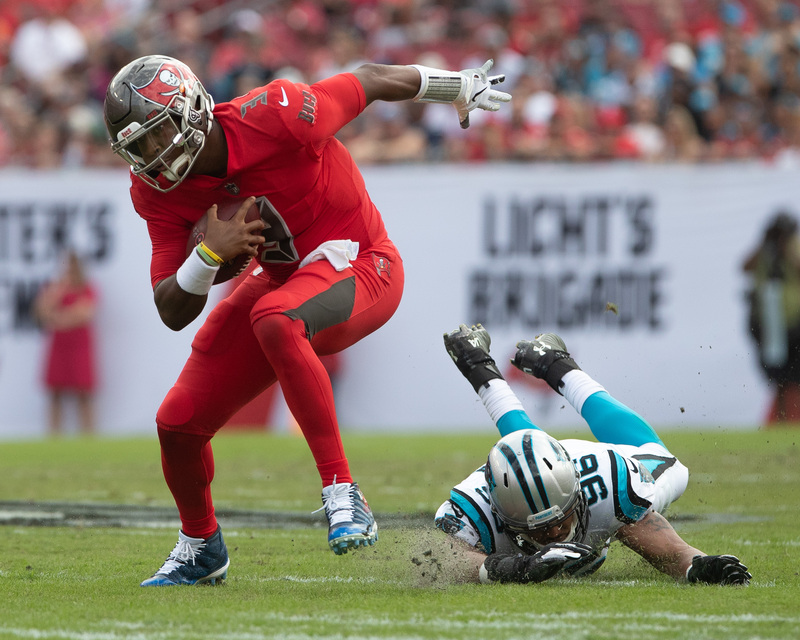 "It seems like when you slide, you lose yardage," Winston said. "They'll take an eight-yard gain and mark it at three. I just wanted to gain all the yardage I could." So what will it take Winston to reclaim favor from the Bucs' fans? Oh, it'll take more than a modest two-game winning streak, of course. But if the team keeps winning, and if Winston continues to avoid turnovers, he'll gain on it. Good column Gary. I agree with you regarding where was this team in Cincy, New York, Atlanta, against the Redskins ? I do think the defense is responding very well considering all the injuries to the DBs. Is a .500 season out of the question ? Hope springs eternal, Bruce. I personally think .500 is a stretch, but I’m wrong, like, a lot. It’s certainly more viable that it seemed two weeks ago, right? Whoo! Another win! Great to watch this time with the 4 picks and the sacks! Stick with this game plan guys! Score first and harass the QB all day! Four more tough games to come! All are winnable if you can play like this! GO BUCS! Who is this team? Where are the open opposing receivers? Where is the unbothered quarterback? Where are the enemy cornerbacks picking off passes?